"I argue against: 1) saying that reality does not exist, 2) saying that reality is unknowable to us, 3) saying that we should not bother trying to refine our understanding of reality, 4) saying that there is no sense in trying to distinguish between the validity of one truth claim and another, and 5) calling one's view on the world 'one's truth' (and therefore saying that everyone has his own truth and that everyone's truth is equally valid). I argue for: 1) thinking about the truthfulness of our views and claims in continuous terms (not in dichotomous terms), 2) viewing reality as an asymptote which we can approach, 3) distinguishing between our interpretations/models of reality and reality itself, 4) acknowledging the limitations in what models we have developed, 5) explicitly acknowledging the difference between claims which fits reality worse (false claims) and claims which fit reality better (less false claims)." Now, more than five years later, this topic seems to have become only more important. The current situation in American politics shows the dangers of disrespecting truth. President Donald Trump has, throughout his campaign, persisted in making many claims which had been proven false or for which there was no evidence. As a president he continues to do this. 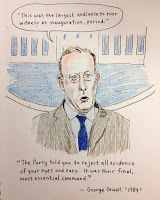 Time and again it is pointed out by commentators (for example Jake Tapper) that there (1) is no empirical basis for many of his claims, or (2) there is clear evidence against his claims, but Trump and his spokespersons, Kellyanne Conway and Sean Spicer, demonstrate indifference to facts. They keep insisting that their claims are true. Several past thinkers have warned against politicians doing these kinds of things. Political theorist Hannah Arendt, in The origins of totalitarianism (1951), said: "The ideal subject of totalitarian rule is... people for whom the distinction between fact and fiction, true and false, no longer exists." 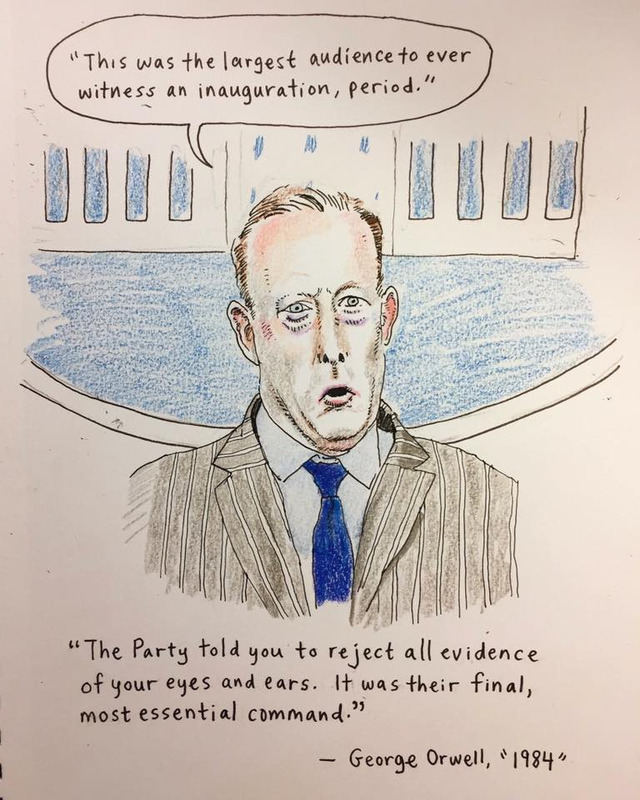 In 1949, George Orwell wrote, in his dystopian novel 1984 (which is now, again, climbing the best-seller lists): "The party told you to reject the evidence of your eyes and ears. It was their final, most essential command." Undermining the idea that empirical evidence is relevant is an essential feature of authoritarian states. Hitler was aware of this and, through propaganda and terror, deliberately aimed at gaining control of what individuals should view as true. Terrible examples still exist today such as Saudi Arabia, a dictatorial state in which there is no freedom of religion and from religion whatsoever (recently a Saudi government representative said in an interview that atheists are terrorists by definition) and in which women rights are minimal. The idea of seeing the richest country on earth with the largest military shift in the direction of an authoritarian state is alarming. Everyone subject to what is happening now should be very alert. Depicting Trump as ridiculous or childlike misses the point that he seems to be methodical in his approach of breaking rational resistance. More than anything what is needed is a revival of the belief in the relevance of evidence and the rejection of claims for which there is no evidence of claims which have been proven false. Not only in the political arena but also at home, in schools, and at work.